This is my low cost embedded ethernet gateway design in minimal form factor. Whole PCB fits into 46 x 40 mm area. 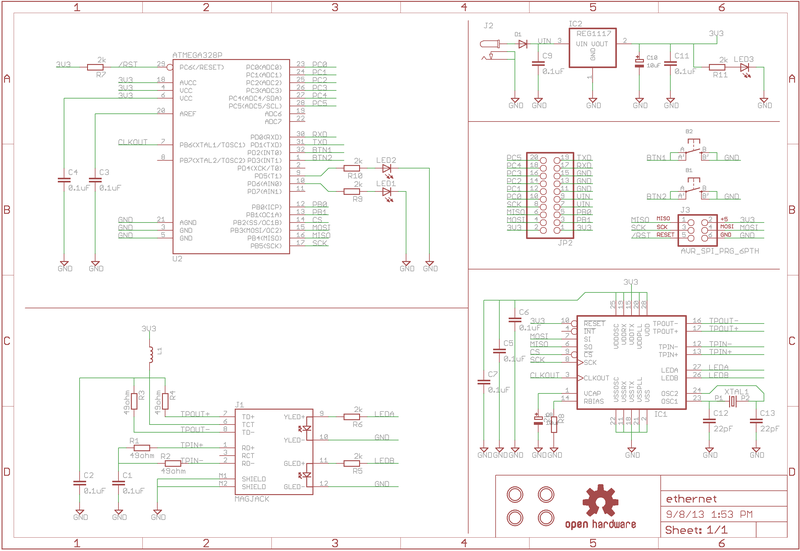 Most of the design ideas are coming from tuxgraphics ethernet boards and http://harizanov.com/wiki/wiki-home/micro-internet-of-things-gateway-uiot/ project. 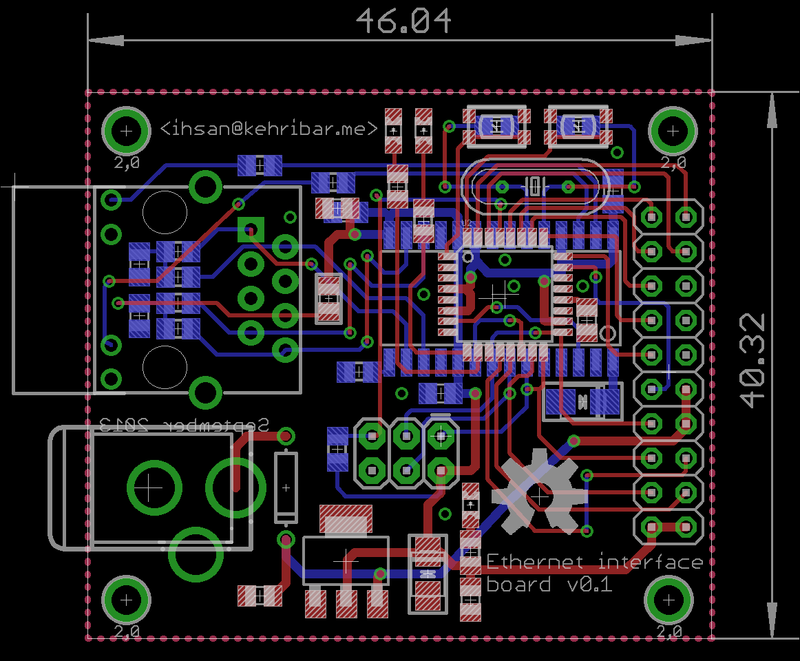 We have a 35$ physiological Raspberry Pi limit for creating an ethernet / internet based device. In my view, if anything falls above that barrier, it becomes non-optimal. The BOM cost of this board is below 9$ when the pieces are ordered in 100 qty, and below 16$ when the pieces are ordered in one-off. Therefore this design holds my desired criteria. For the software side, I'm planning to use tuxgraphics TCP/IP stack. You can find my current experiments with this stack from here: https://github.com/kehribar/enc28j60_experiments I'm also considering to move on to the uIP stack, but I haven't decided yet. I've ordered parts for this board but PCBs haven't arrived yet. I hope to update this page soon.